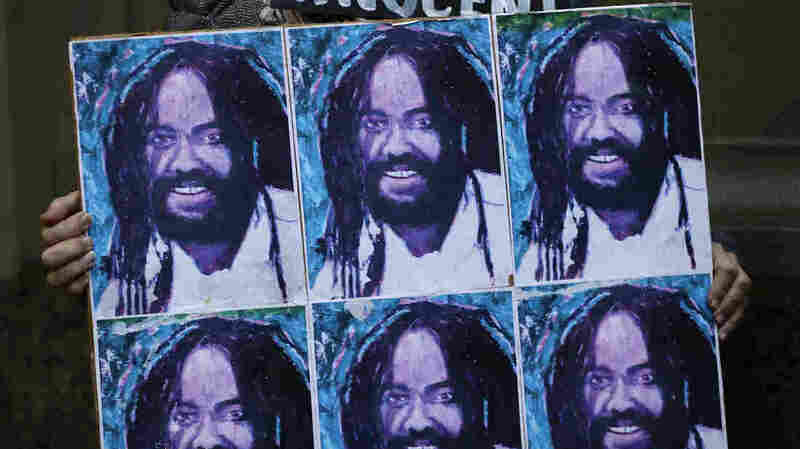 6 Boxes Of Files Related To Mumia Abu-Jamal Case Found In Philadelphia Storage Room Abu-Jamal was convicted of killing a police officer in a racially charged case 30 years ago. The assistant district attorney said her office is reviewing the boxes. A protestor holds up a poster depicting Mumia Abu-Jamal during a demonstration outside the offices of District Attorney Larry Krasner, Friday, Dec. 28, 2018, in Philadelphia. Days after Christmas, Philadelphia District Attorney Larry Krasner and some of his assistants went rummaging around an out-of-the-way storage room in the office looking for some pieces of furniture. What they stumbled upon was surprising: six boxes stuffed of files connected to the case of activist Mumia Abu-Jamal. More than 30 years ago, he was convicted of killing a police officer in a racially charged case. He and his supporters have long maintained his innocence. The surprise discovery comes just weeks after a Philadelphia judge reinstated appeals rights to Abu-Jamal, saying the former radio journalist and activist should get another chance to reargue his case in front of the Pennsylvania Supreme Court due to a conflict-of-interest one of the justices had at the time Abu-Jamal's petition was denied. Abu-Jamal's supporters are seizing on the mysterious six boxes as proof that his innocence has been systematically suppressed by authorities. The Philadelphia District Attorney's Office did not say anything about what is in the boxes, or whether there is evidence that the files are exculpatory, or capable of demonstrating that Abu-Jamal did not commit a crime. During his original trial, three separate eyewitnesses testified Mumia did commit the murder of Philadelphia Police Officer Daniel Faulkner. "I can't tell you 100 percent what is in these boxes," McCann said Wednesday night. "But I doubt there is anything in them that is not already in the public eye." How and why did six boxes tied to one of the most legendary and racially charged cases the office has ever handled get relegated to a dusty storage room? McCann is not sure. But he said when the office moved locations in 2006, hundreds of boxes with his name written on them were moved into the current headquarters on South Penn Square, just across the street from Philadelphia City Hall.